Explanation and practice of contrast connectors.B/W version included. Any feedback is welcome, including correction of mistakes. I hope it´s useful. 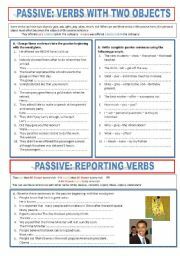 This worksheet includes exercises about the passive voice with verbs with two objects and also passive constructions with some reporting verbs. Hope it´s useful. 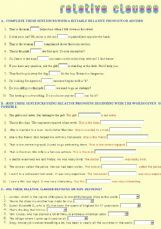 This is a worksheet with comprehension questions after watching "Bend it like Beckham". There are also discussion points about gender stereotypes in sport. 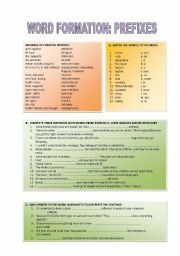 This worksheet has been designed to learn that there are words that can belong to different categories (nouns and verbs in this case). The students have to see the difference and use them correctly. There is also a word formation (adjetctives) exercise. Enjoy it!! 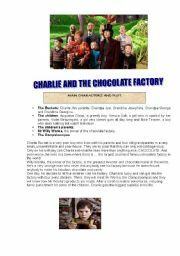 3 page worksheet to use before and after watching the film "Charlie and the Chocolate Factory". It includes an introduction, comprehension questions and a research work where the students have to look for information about some aspects of the film, Tim Burton and Roald Dahl on the websites provided. Enjoy it!! 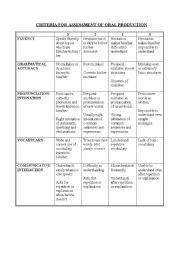 I think someone was asking for this kind of rubric for speaking assessment. Just in case you find it useful. 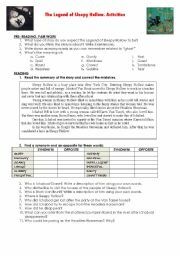 Worksheet about the short story The Tell Tale Heart by Edgar Allan Poe. The text comes from the Project Gutenberg (http://www.gutenberg.org/files/2148/2148-h/2148-h.htm#2H_4_0019). I have hyperlinked to an online dictionary some words that can be difficult to understand and added some activities (pre-reading and comprehension. Enjoy! Activities to do with the adaptation of The Legend of Sleepy Hollow. It includes pre-reading activities, comprehension quesitons and role play. It also includes the key to the exercises. Presentation about the USA, part of a collection of presentations about English speaking countries. Fact file, cities, American famous people, etc. 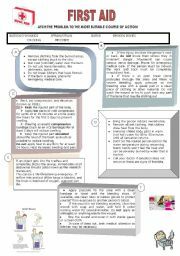 This presentation can be used to practise description of personality. 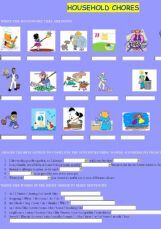 There are pictures to describe with questions as prompts and practice of vocabulary, decision making and a role-play. Enjoy it! Presentation about the Republic of Ireland, part of a collection of presentations about English speaking countries. Fact file, cities, Irish famous people, etc. Presentation about how British and American people celebrate some popular festivals. Presentation about Australia, part of a collection of presentations about English speaking countries. 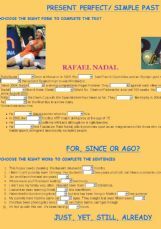 Fact file, cities, Australian famous people, etc. Power point presentation about what British people traditionally do at Chistmas, how they decorate homes and streets. Hope you enjoy it. Merry Christmas!! Presentation about the countries that make up the United Kingdom; difference between English and British and some aspects of British culture. 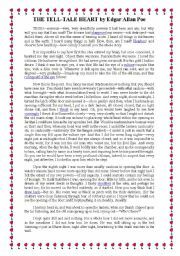 There are questions and links to the sites where the answer can be found. Presentation 1 for learning adjectives to describe people´s personality. There is a second part. Sorry, although I reduced the size of images,I had to divide the presentation in two parts. 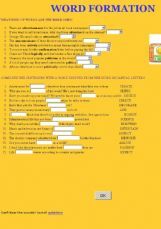 Fill in the gaps exercise based on a well known English poem. I used it to teach time clauses: when+present to refer to the future, which some Spanish students find particularly difficult to grasp. An exercise about this structure is also included. I hope you find it useful. 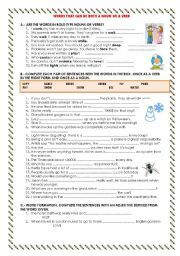 Exercise to practise the difference between the present perfect and the simple past. There is also practice of time expressions like already, still, yet, just, since, for, ago. Enjoy it! 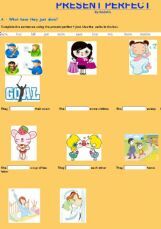 Exercise to practise some adjectives we can use to describe people´s personality. Enjoy it!! 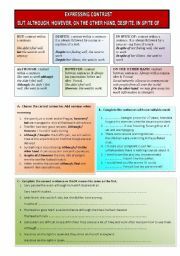 Our students can practise relative clauses -defining and non-defining- with this exercise. Enjoy it!